Also does anything in my pc affect how my mic will sound? 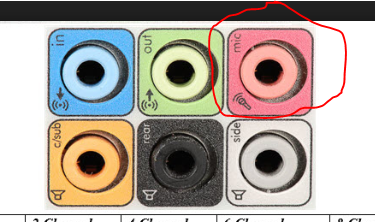 The mic can usually be found on the front of the case or on the back of the case where the Motherboard connections are, it's typically pink. The only thing I could think of that could affect your mic is if your system is loud then the mic may pick it up. A fix would be to adjust the sensitivity on the mic so it won't pick up those sounds. How Fast of a Connection do I need for Gaming?